TWENTYNINE PALMS, CALIFORNIA - The Mojave and the Colorado Deserts come together within the 792,510-acre Joshua Tree National Park. The land has been sculpted by a harsh desert climate with strong winds and occasional torrents of rain creating surreal geologic features. 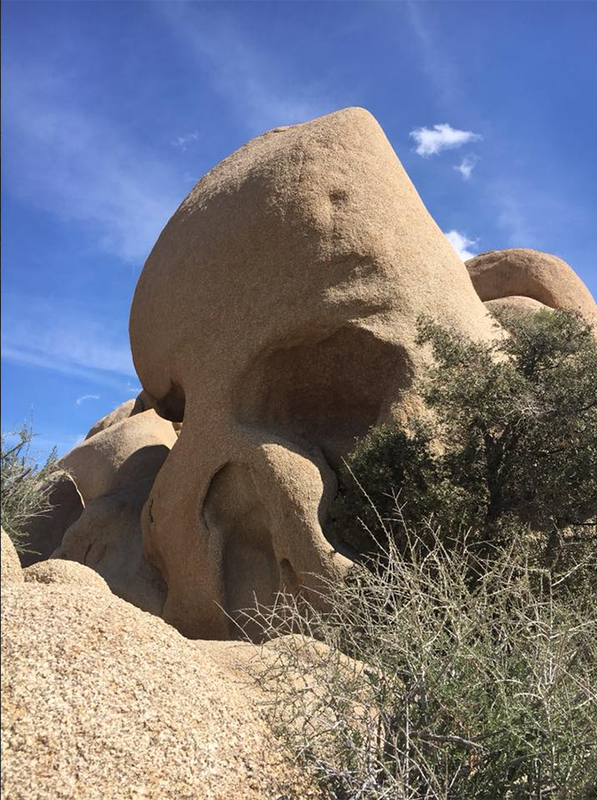 One such carving is the famous Skull Rock, caused by rain and water eroding the granite to resemble a skull. The site is located along the main east-west park road near Jumbo Rocks Campground.